Have you got an idea to improve education, research and student life? Jisc, the UK’s expert on digital technologies for education and research, has today opened registration for this year’s Summer of Student Innovation, offering students £5k grants for innovative ideas to improve education, research and student life! 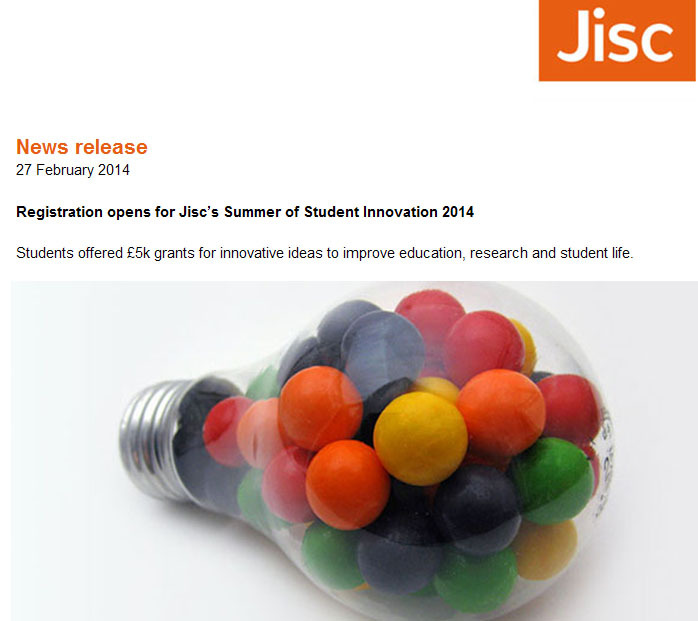 Have a look at this JISC News release for details.